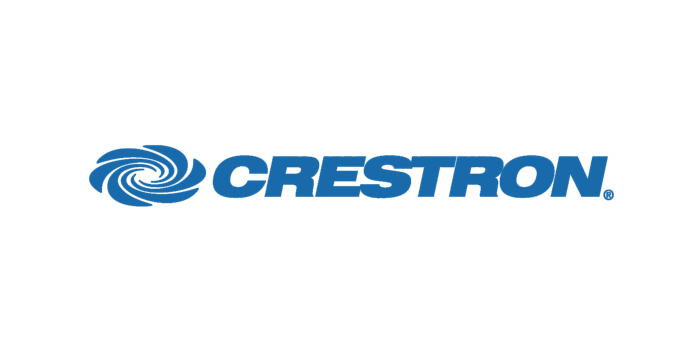 Crestron MPC is a family of 2-Series control systems designed for installation in a wall or podium, delivering the industry’s best multimedia room control technology in a convenient, space-saving design. 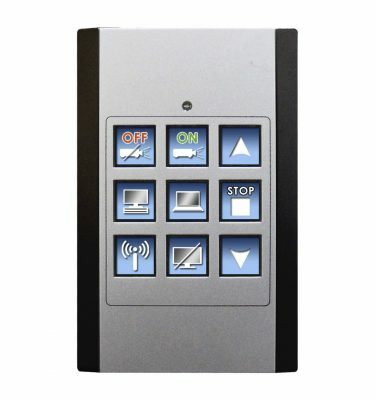 Perfect for classrooms, meeting rooms, lecture halls, and training facilities, the MPC-M10 provides a fully-programmable user interface featuring an attractive and intuitive layout of pushbuttons with customizable backlit labeling, volume control, and wireless remote capability. Available in white or black, the MPC-M10 is constructed to handle the rigors of everyday use in a corporate or educational environment. 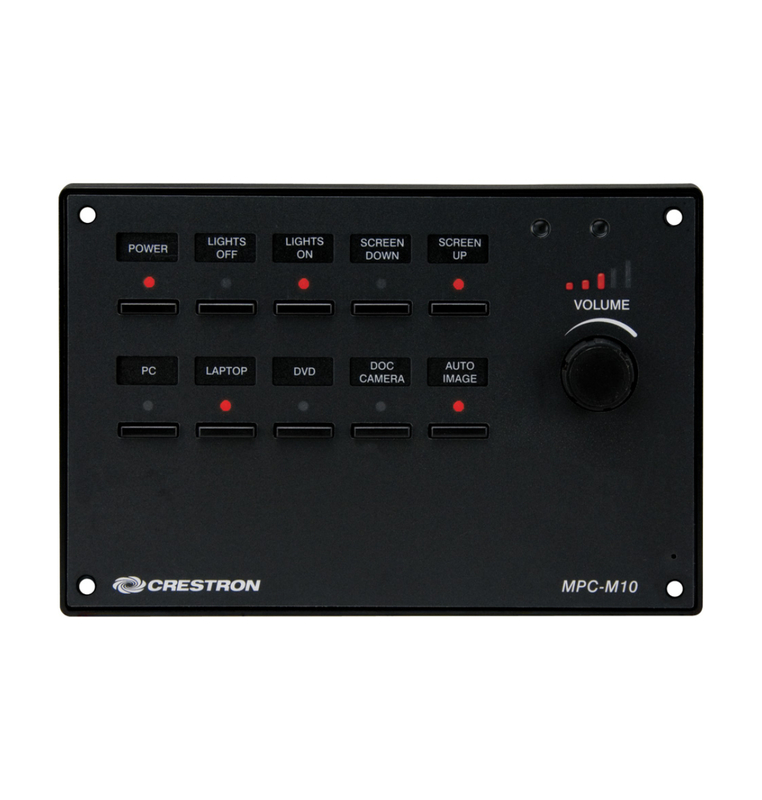 An assortment of programmable control ports provides connectivity for audio, video, and lighting equipment. 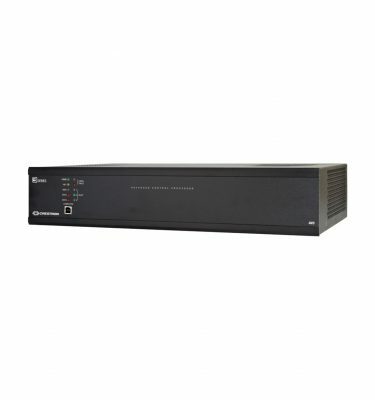 The onboard e-Control® Web server provides for complete integration as part of a facility-wide managed control network. The MPC-M10 is engineered to be easy to integrate and use, yet versatile enough to suit each application perfectly. 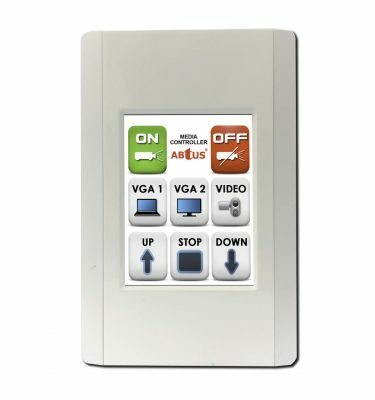 Its 10 programmable “hard key” buttons can be freely programmed for system power, input source selection, transport control, lighting presets, and any other functions. Custom backlit labeling of the buttons is facilitated using an assortment of pre-printed labels or Crestron Engraver software. Adjusting audio volume and other parameters is enabled using the continuous-turn control knob and LED bargraph. 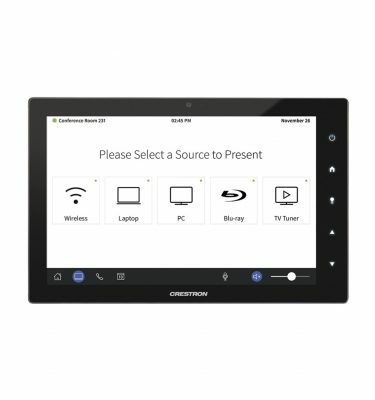 Configuring a complete media presentation control solution is simplified using Crestron SystemBuilder™ software, allowing limitless programmability from the award-winning platform that’s familiar to every Crestron dealer. The MPC Wizard included in SystemBuilder enables setup of a full-featured presentation system complete with lighting control and RoomView® remote management without requiring any programming. Uploading and updating a facility full of MPC systems is managed easily over the network, or individually via the front panel USB port.